It was a great week of practice for the Brandon Bulldogs. 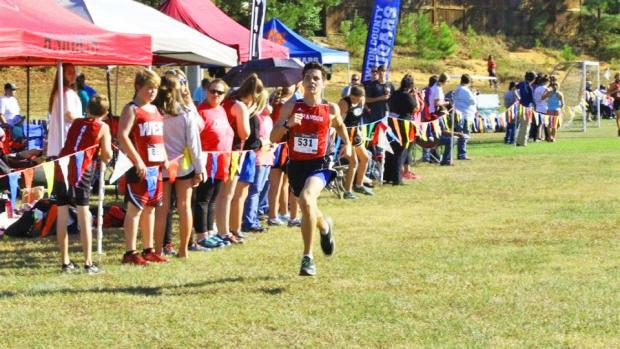 We had a solid week of mileage as well as a time trial, deciding our top fourteen runners. We have a young, but very excited and eager group of athletes looking forward to a great season. Our time trial was 2 miles in the heat. I lead the way in 10:59, then we had two freshmen who came in under 12 minutes. (Cameron Entremont and Leyton Levingston) following them were several packs of runners of all ages strung out by only seconds a piece. Our packing should be one thing that helps us tremendously this season. For our girls, we had two girls out front close together. (Katie Kirby and Megan Henry. Both sophomores.) Following them up in third was my sister Ella Bourne. (Freshman) After that the girls were close together. All in all it was a great time trial for the conditions and to be so early on in the season. The rest of the week was just steady mileage. Speed will start soon for us however. As a team we are feeling good and ready to race. The season starts out next weekend at the Brooks Memphis Twilight Classic. All of our guys and girls have had a solid summer of training and we're all stoked on starting out the season at such a prestigious meet. We all hope the great competition will bring forth some great performances!